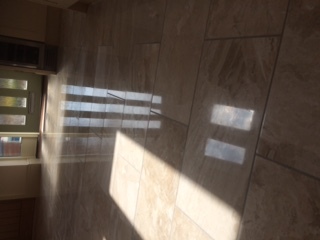 Marble floors look great when they are polished and make any room feel special but over time that shine goes and with it that special feel. As it dulls the stone will seem harder to keep clean and it will appear lifeless. 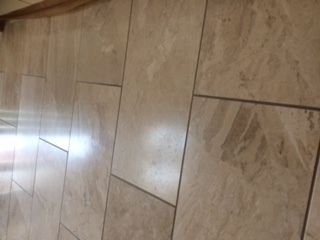 Below are some photos of a customers marble floor that had all these problems and was in need of some love and care. 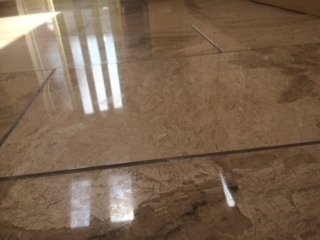 The floor was treated first of all to a grinding process using diamond encrusted pucks which bring the surface back to an even honed surface and get rid of any scratches and marks. 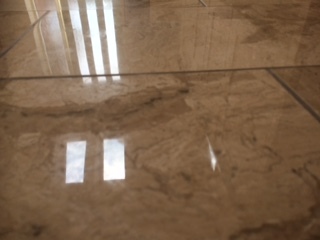 A second much finer grinding process then takes place using a diamond coated pad and a fine polishing powder. These two combined with a heavyweight polishing machine bring out a high gloss finish. 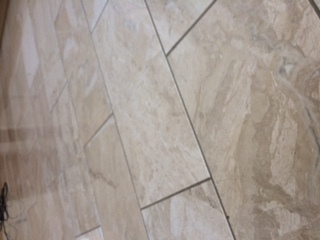 The finish is then protected with an impregnating seal which soaks into the surface of the stone creating a barrier to water and grease and dirt. This is then given a final polish to bring out the true beauty of the marble.